In an elevator, someone asks what your company does. In the 15 seconds before the door opens, what do you say? 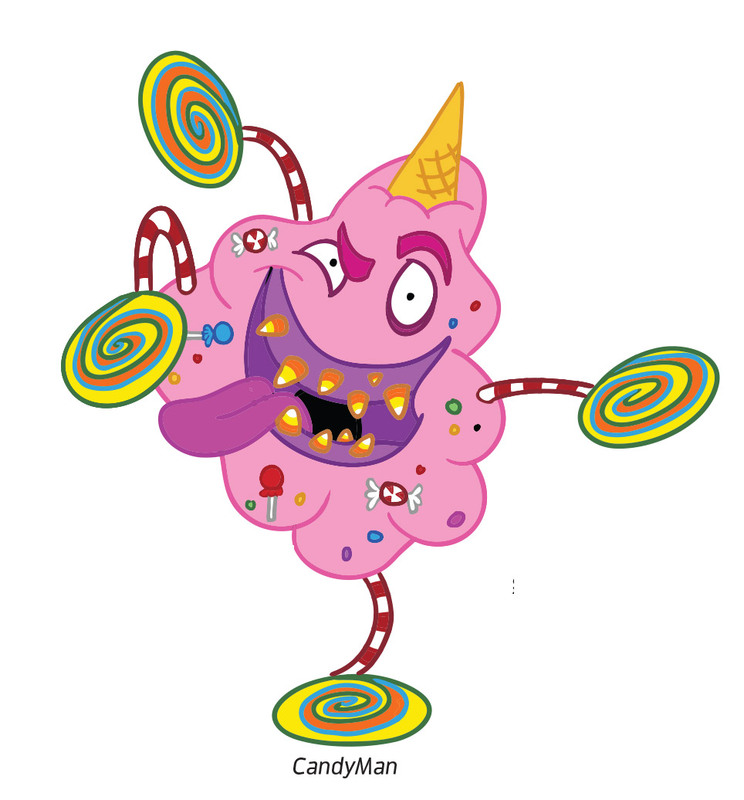 Molano: We produce multimedia that feature original cartoon characters specific to the dental-health space. With our help, general and specialty dentists can offer children and families a Disney-like experience with the Mighty MolarMan & Friends brand. 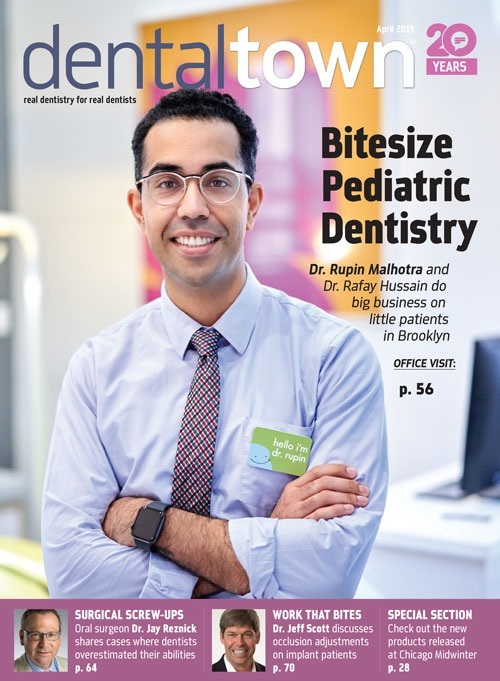 This is a unique patient care tool that makes treating kids much easier, and also helps dentists attract more new families to their practices. It's a practice-building machine! What is your background in dental? Bond: I'm a general dentist with a passion for improving patient care and overall health. Juan is an animator and illustrator with a background in marketing and branding. What's the history of Mighty MolarMan & Friends? Bond: The original idea, in early 2002, was to create cartoon characters to get my two young boys excited about brushing their teeth and going to the dentist. Mighty MolarMan, Bacteria Boy, Hallie Tosis, Ginger Vitis and Canine came to life as the original five, and Mighty MolarMan & Friends was born. 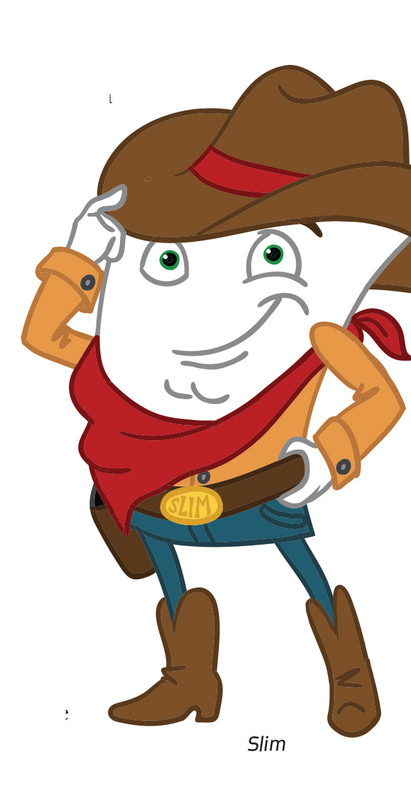 Over the next few years, the mascots made the rounds in the Dallas and Fort Worth area. 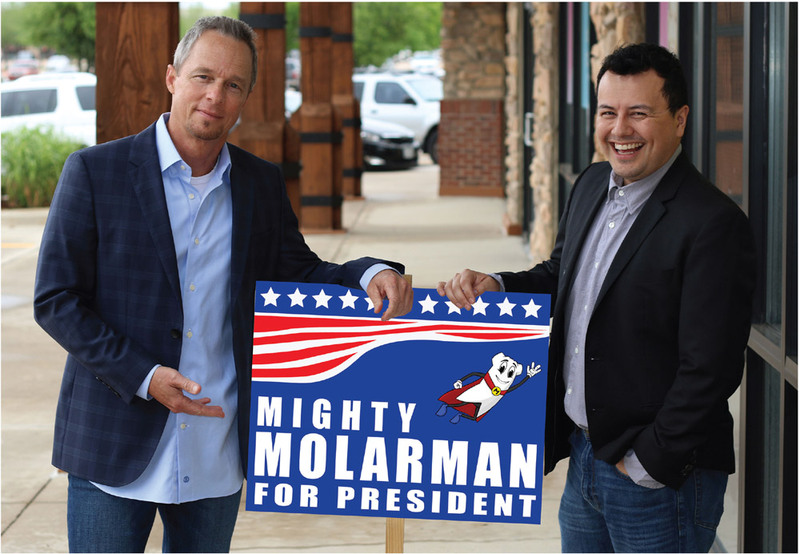 In 2013, we established the foundation to what is now Mightymolarman.com. Molar Towne grew bigger, with more characters, music and the first children's book and box set, Molar in the Mirror, which was published in February 2015. It includes a plush toy with a suction cup, so children can brush with the encouragement of their Superhero of Smiles, who's looking down from the mirror. As a result of the excitement about the box set and website, an affiliate program will be launched this June. What was the inspiration behind Mighty MolarMan & Friends? Bond: My father, an illustrator, was very passionate about cartoons and Walt Disney. It had always been a dream of mine to honor his dreams by creating something that he would be proud of. I saw that the tooth fairy needed a little help—there were no iconic dental-health cartoon characters to educate children, like my two young boys, and get them excited about the whole dental experience. Mighty MolarMan & Friends fills that void. What is the philosophy at Mighty MolarMan & Friends? Bond: I'd say it exists on three pillars: to finally give all the frustrated parents a solution to battling with their kids over brushing and maintaining good oral health; to provide an entertaining vehicle for oral-health education and improved health; and to bring happiness and fun to the dental experience for health care professionals and patients. What would you consider to be the best-kept secret about your company? Molano: Family-owned practices can license the Mighty MolarMan & Friends brand and become affiliates. We've had such an overwhelming number of positive responses that many dentists are asking us how they can use the characters in their practices. Molano: A portion of every sale from the Molar in the Mirror box set will be donated to schools and educational programs. The same goes for "The Mighty MolarMan Song" and "The Bacteria Boy Song," which are both available on iTunes, Amazon and Google Play. How can practices begin working with you? Bond: Go to affiliate.mightymolarman.com and complete the form, and you'll be contacted to schedule a phone consultation. While supplies last, callers will receive a free copy of the Molar in the Mirror box set after the initial consultation.